I agree. With so many to choose from, the committee should have identified a winner. If the three finalists were not “good enough,” time to go back to the pile and find more. Patchett suggests Edith Perlman’s Binocular Vision, Jeffrey Eugenides’ The Marriage Plot, and Jesmyn Ward’s Salvage the Bones – among others. Were the finalists so alike or so mediocre? Why was the dysfunctional board not able to decide? One of the three committee members responsible for sending up the final list, Susan Larson, gave her opinion to National Public Radio (NPR) – here. 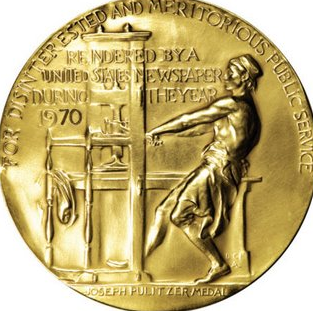 It’s happened before: in 1974, the Pulitzer committee recommended that Thomas Pynchon’s Gravity’s Rainbow be given the prize, but the board refused. Maybe the authors should have taken out ads, as studios do to promote actors for the coveted Oscar awards. Patchett notes that no one in the movie industry – or the public, for that matter – ever believes that the Oscar winner is the best, but the hoopla serves to alert movie-goers and tempts them to see a movie they may have not. Prizes for books do the same. Before Julian Barnes won the National Book Award for The Sense of an Ending, the one remaining mega bookseller in my city had only one copy; after he won, consumer demand forced a stack of those books – and they sold. …And so many more that I might have recommended to the board. Who would get your vote?